Where you sit on the blackjack table isn’t important right? Wrong! Your choice of seat at the table can have a major impact on the course of the game; it can even be the difference between winning and losing. 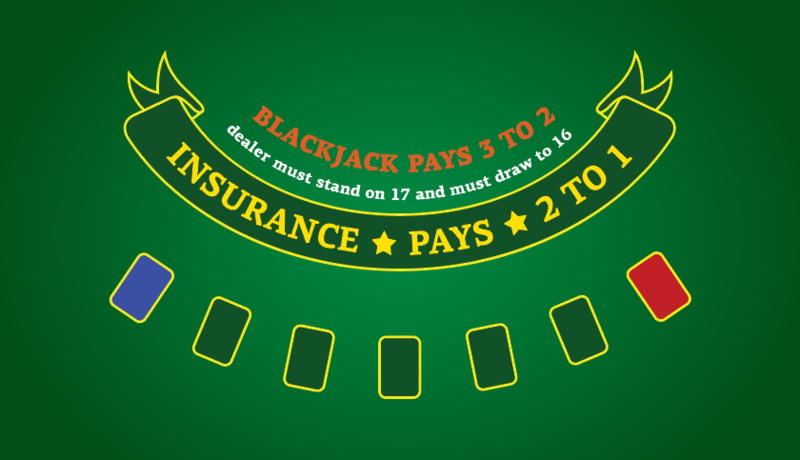 If you’re the kind of player who wants to have all possible advantages when you play blackjack games, you’ll be familiar with the core concepts of advantage play such as basic strategy, managing your bankroll and – if you’re a serious player – even card counting. You’d be forgiven for not looking too closely at card counting as, despite the fact that it isn’t illegal, casinos have been known to ban players they catch counting. But the advantage it can give you is considerable, it even turns the House Edge in your favour (although only by about 1%). Additionally, this method won’t work if you’re playing on a casino app since most online games will use a continuous shuffle machine – but if you’re in a live or a bricks and mortar casino, it’s definitely worth pursuing. And if you’re serious about advantage play and card counting, you’ll want to know about the 3rd base spot. In the example above, we have the 1st and 3rd base marked in red and blue respectively. First base is the first side the dealer will call when cards are dealt and third is the last. The exact number of spots here will vary but, if possible, go for the table with the most players for reasons you’ll see later. There’s a case to be made that there aren’t any benefits with conventional play. If all you’re using is basic strategy then you’ll find that going last doesn’t do very much for your chances, whatever card you’re going to be dealt will be dealt and it won’t change whatever your starting hand was. But there is one major benefit – as you’re going last, you can see what everyone else has been dealt and gain some insight. Even if the cards are dealt face-down initially, you get a decent idea what everyone has been given by your go and you can use that information to plan what to do next. Having a vague idea that there are fewer of a certain card in the deck, because they’re currently on the table is helpful, but the real advantage of being in this position comes into play when you make use of card counting. While seeing what came before is helpful in making a choice, it’s absolutely amazing for a card counter. With an up to date count and being the last person to play before the dealer, you can make a choice on how you want to act based on the most up to date information and factor in not just your hand but also the dealer’s. For example, if you’re counting using the Hi-Lo system (low value cards add one, high value cards deduct one) and the deck has a positive count when it comes to your turn, you can take into account the dealer’s card too as no more cards will interfere and alter the count. If the dealer has a 5 showing and a face down card, it’s likely (with a positive count) that they have a ten or other high value card face down and will need to hit which is likely to give them a ten-value card and drive them bust. If the dealer goes bust then, no matter what you have, you win. But what if you have a low value hand and an average to high value count? If you don’t hit and they don’t bust, you could be in trouble. This is the downside to having the most important seat, there is a lot of pressure to play the best strategy possible. If you are unlucky, you’ll get a face card that would have driven the dealer bust and really anger your fellow players if they now make 17+. This is also why a lot of card counters would take to the table as a team, the leader will take 3rd base and may misplay their hand in an effort to let the other members win. Even though they should hit on an 11, they don’t so that the dealer will go bust. This sort of behaviour may get noticed but is still probably the best way to make use of the advantages from being in the 3rd base seat. Of course, there is still going to be an element of chance and there’s nothing here to actually enhance your luck, but strategically 3rd base is easily the most important seat in the game.